This week, RESAAS – The Real Estate Social Network – published an article on their blog that was submitted by our Co-Founder Ninja, Casimir Loeber. It’s the first in a two part series for their “Know it Now” which focuses on looking into the facets of modern real estate marketing. Click the image above to be directed to our article on the RESAAS blog, or scroll a bit lower for an exerpt from the piece before you dive in. Thanks for reading, Ninjas! The simple fact of the matter is that the entire concept of being able to accurately track all of your marketing with little effort on your side is a completely new possibility. What was once thought to be the domain of specialized market research companies is now available to you with the click of a button. 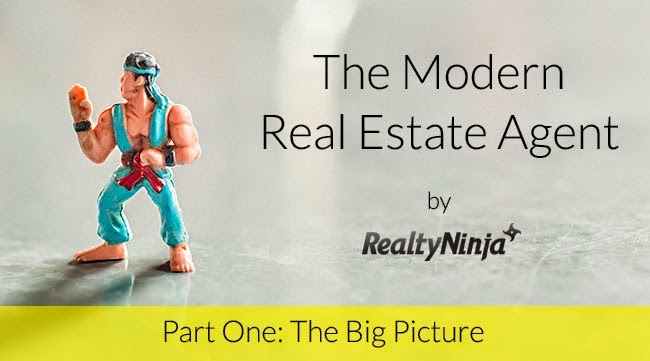 It is this fact, once internalized, that makes you a “Modern Real Estate Agent.” Once you apply these concepts to your business thinking as a whole, a world of possibilities is opened and clarity is given to the myriad of choices placed in front of you on a day-to-day basis.